Reach 2018 was an event co-designed and delivered with young people from a consortium of Scouts Scotland, Girlguiding Scotland, Boys Brigade and Youth Scotland. 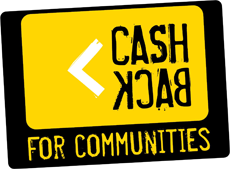 Young people from across Scotland and four youth organisations came together to participate in a co-designed and delivered youth event funded by CashBack for Communities in March. Organised by an advisory group of young leaders from Scouts Scotland, Girlguiding Scotland, Boys Brigade and Youth Scotland, the day was a huge success. You can read the story of the day in young people’s own words below!